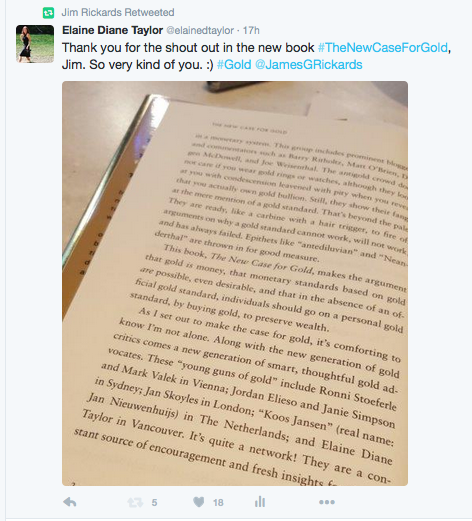 A synopsis of an interview with Jim Rickards, New York Times bestselling author of The Death of Money, Currency Wars, and the newly released bestseller The New Case for Gold, by Trish Regan at Fox Business. Donald Trump is right when he says that China does not play fair. China is a currency manipulator — but everyone is a currency manipulator, including Europe and the United States. The currency wars have been going on since 2010 and we’ll probably still be talking about this five years from now. The leaders have a whole tool kit for the currency wars but the problem is that there’s too much debt and not enough growth. So how do you get growth when you can’t get it from productivity? You steal it from your trading partners by cheapening your currency. All that the world’s been doing is taking turns devaluing — in 2010 a cheap yuan, 2011 a cheap U.S. dollar, 2013 a cheap yen, and 2014 and 2015 a cheap euro. Now it’s China and the United State’s turn again to have the cheap currency. The U.S. will then get an advantage vis-a-vis Japan and Europe (as opposed to an advantage from China). What the U.S. wants to do is to import inflation by having higher import prices. Europe accepts this, and Japan is not going to intervene with the plan because they’ve been told not to, basically threatened, by Christine LaGarde of the IMF and U.S. Treasury Secretary Jack Lew, to not devalue the yen. It’s not just tarrifs but also non-tarrif barriers that are used in trade in order to gain an advantage. A famous case is when the Japanese once banned French skiis because they said that Japanese snow is different than French snow. There’s a lot of ways to play the currency wars game. On August 15, 1971 President Richard Nixon put a 10% across-the-board tarrif on all imports — every single import. Nixon didn’t really want a tarrif. What he wanted was to get Germany, Japan and France to agree to devalue the U.S. dollar. Nixon used tarrifs as a negotiating tool and that’s how Jim sees Donald Trump. Trump threatens tarrifs and maybe puts some tarrifs on, but not because he wants tarrifs. It’s because he wants a better deal on intellectual property. Trump is about the art of the deal. 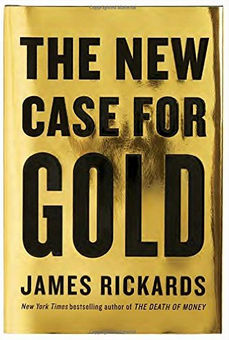 The New Case for Gold is available at Amazon. 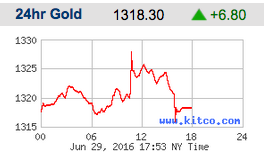 Gold is $1,318.30 per ounce U.S. 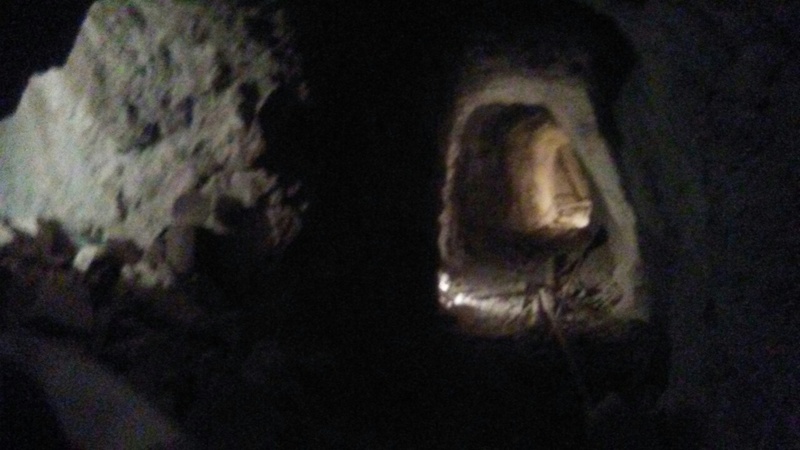 While looking through an abandoned gold mine in Nevada there were miles of tunnels in a maze through the mountain. 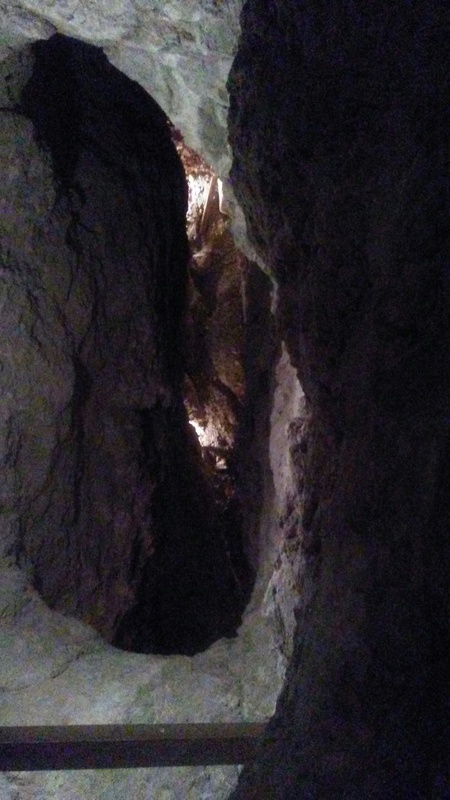 So many ways to get from here to there and every one hidden from the surface.